Plettenberg Bay, Garden Route, South Africa is just 10 minutes by car from Tsala Treetop Lodge and Knysna is 20 minutes away. This hotel in Plettenberg Bay, Garden Route is located just off the N2 highway going south toward Knysna. The fabulous attractions of Plettenberg Bay are a few minutes away and the Knysna Lagoon can be reached in less than half an hour. 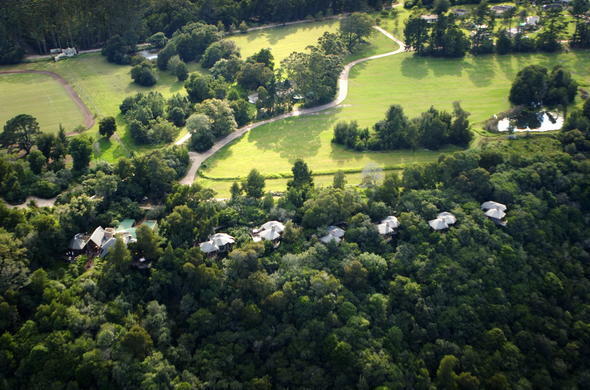 Tsala Treetop Lodge has a private heli-pad, or air-charter can be arranged to Plettenberg Bay airport. The nearest commercial airport to this hotel in Plettenberg Bay, Garden Route is in the historic town of George via a scenic drive, taking between 1 and 2 hours depending on traffic volumes. Car rental and airport transfers can be arranged. Alternately, Port Elizabeth Airport is a 2 and a half hour drive away.